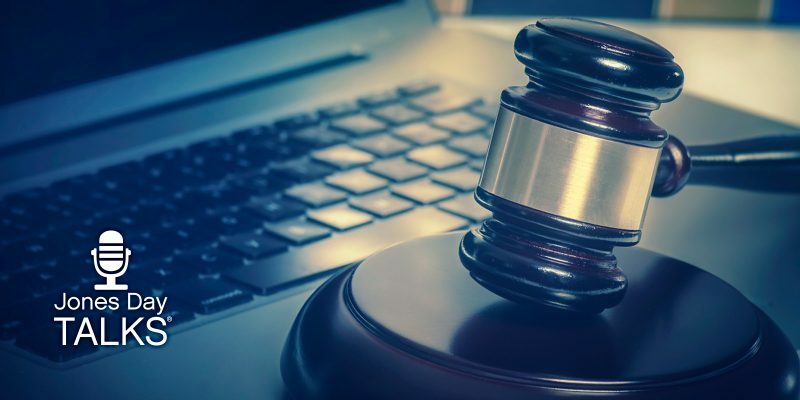 In Fourth Estate Public Benefit Corporation v. Wall-Street.com, the U.S. Supreme Court tackled questions relating to copyright applications vs. copyright registrations, while in Rimini Street v. Oracle, the justices ruled on how costs are measured in copyright litigation. Jones Day’s Jessica Bradley, Anna Raimer, and Meredith Wilkes explain the implications for copyright holders, applicants, and litigants. 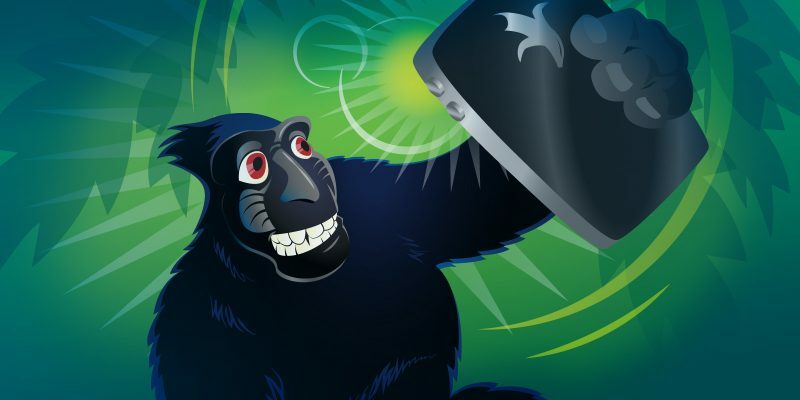 They also talk about what’s ahead for the Firm’s “Women in IP” initiative. Section 101 of the U.S. Patent Act─which identifies four categories of inventions or discoveries that are eligible for patent protection─presents a number of challenges to companies working on innovations in the life sciences space. 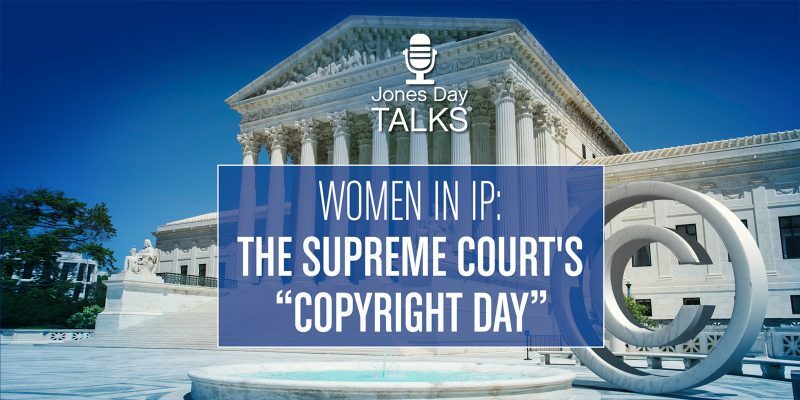 Jones Day’s Patricia Campbell and Susan Gerber, who recently coauthored an article on this topic for The Intellectual Property Strategist, are joined by Meredith Wilkes in this edition of Jones Day Talks Intellectual Property. 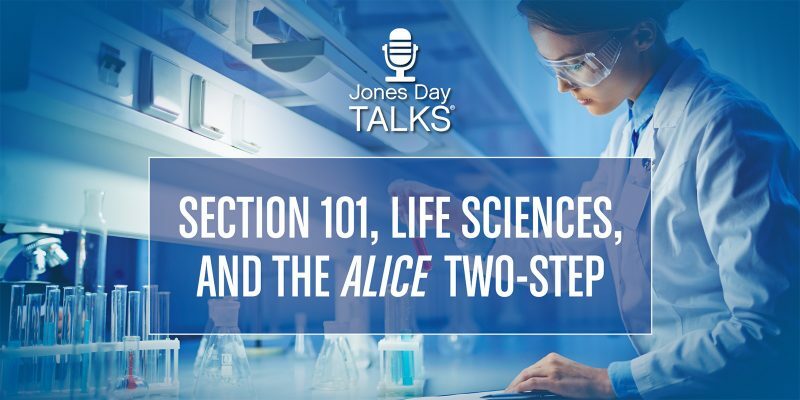 They discuss Section 101 and life sciences, and talk about what’s coming up for Jones Day’s Women in IP initiative. In its April 2018 decision in SAS Institute, Inc. v. Iancu, the U.S. Supreme Court held that when conducting an inter partes review, the U.S. Patent Office must determine the patentability of each of the claims challenged by the petitioner. 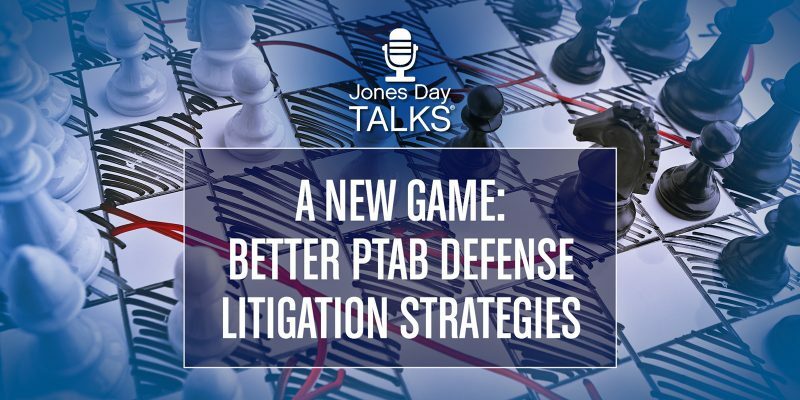 Visit Jones Day’s PTAB Litigation Blog. In a Supreme Court matter argued on behalf of software developer SAS Institute Inc., Jones Day successfully challenged part of how the U.S. Patent Office’s Patent Trial and Appeals Board conducts its inter partes review proceedings. But that’s just half the story. 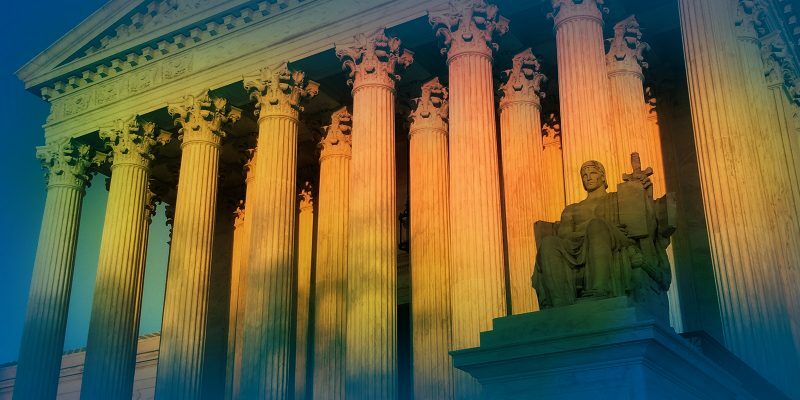 Jones Day partners Greg Castanias, Dave Cochran, and John Marlott explain why the Supreme Court’s decision has significant implications for cases involving government agency overreach.